Why Should I Get an Echocardiogram? There are numerous reasons for chest pain, including indigestion and lung infections. The echocardiogram results help physicians determine if heart-related issues cause the pain or not. Heart attacks are often the result of coronary artery disease or a blocked artery due to a blood clot and can result in weakened heart muscles. An echocardiogram allows your physician to determine how well the heart is functioning and pumping blood. Heart murmurs are additional, or atypical sounds that physicians pick up when listening to a heartbeat. Murmurs are often not dangerous, but can be an indication of a more serious heart condition. Echocardiograms help physicians pinpoint what’s causing the heart murmur. Valve disease can produce situations where blood flow becomes obstructed in different areas of the heart. Serious cases of the disease may damage the heart muscle. Many physicians recommend regular echocardiograms in this situation, to keep abreast of any muscle impairment. Chemotherapy can injure the heart muscle. 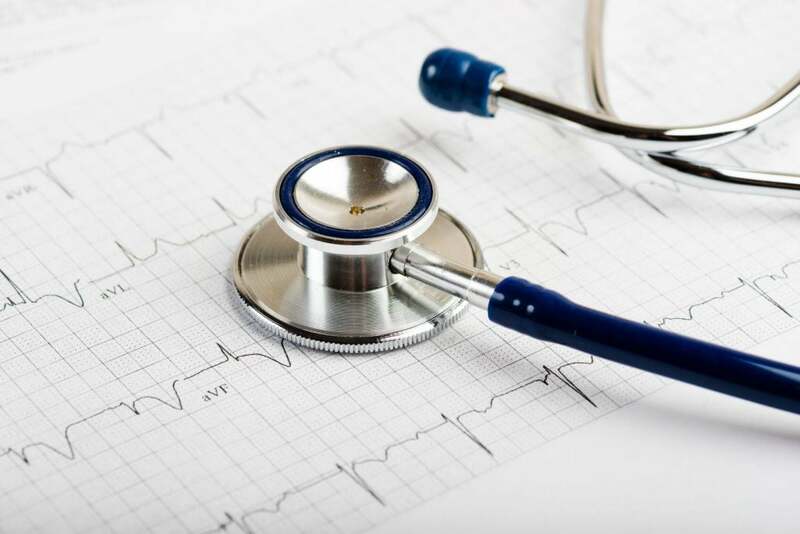 Doctors will typically perform an echocardiogram at the beginning of treatment and carefully monitor any alteration of their baseline results. Blood clots in the heart are the main cause of strokes. Echocardiograms help your physician detect blood clots in the heart before they trigger a stroke. Transthoracic is the standard echocardiography test. The procedure is painless and noninvasive. For the exam, a technician applies a special gel on the chest area, and then places an electrical device, called a transducer, on your chest. The transducer directs ultrasound waves toward the heart, and as the waves echo back to the transducer, a computer generates still or moving live images of the heart and interprets them. When the standard transthoracic echocardiogram fails to produce a sharp image of the heart or the physician needs to see a more detailed heart image, a transesophageal echocardiogram may be advised. During this procedure, the transducer, contained in a flexible tube, is directed down the throat and into the esophagus. This position allows the transducer to achieve highly clarified heart images. For this procedure, anesthetics are used to numb the throat, and sedatives are provided to help you relax. This echocardiography test reveals how efficiently the heart muscle is at pumping blood through your body. A resting echocardiogram is performed first. Patients are then directed to walk on a treadmill or ride an exercise bicycle, slowly, then faster, and then on an incline. The exercise portion of the stress test generally takes between five and fifteen minutes. During the test, your blood pressure and heart rhythm are continuously monitored. The test can determine if the heart muscle is working efficiently when the heart rate increases, or if parts of the heart are not receiving sufficient blood or oxygen, due to constricted or blocked arteries. As blood cells move through the heart chamber, valves, and blood vessels, they change timbre. The changing sound waves can be measured during a Doppler echocardiogram, allowing physicians to identify any problems in the velocity and direction of blood flow to the heart. Doppler procedures are commonly used in both transthoracic and transesophageal echocardiograms because they can pinpoint problems with blood flow or blood pressure that other methods may miss. Echocardiograms are painless and have no side effects. The transesophageal procedure only requires numbing medication because of the need to place the device closer to the heart area. So, why should you get an echocardiogram? The information an echocardiogram provides has saved countless lives. If you live in the New York metro area, contact the experienced team at Park Avenue Medical today.